A Chinese mainland spokesperson on Sunday urged Taiwan to immediately stop infiltration and sabotage activities against the mainland. 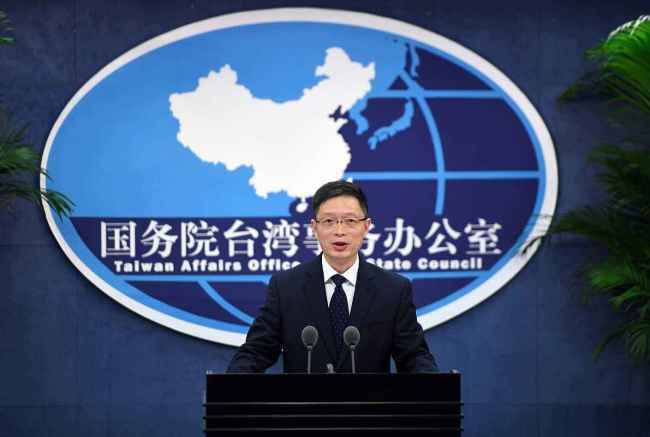 "Taiwan authorities must avoid any further damage to the increasingly complicated and intense cross-Strait relations," said An Fengshan, spokesperson for the Taiwan Affairs Office of the State Council, in response to media inquiries. Taiwan's intelligence agencies have significantly increased their steal of intelligence, infiltration and sabotage activities targeting the mainland for a certain period of time, An said, citing related authorities. The mainland's security organs have launched a special campaign to crack down on these activities by Taiwan, he added.